Blackheads are those super annoying tiny dark bumps that appear on the human skin, often on the neck and face. The name comes from the dark or black appearance of the lesions. They are a mild type of acne that contains an oxidized version of melanin but appear on other body parts like back, chest, arms, and shoulders. Acne affects millions of people all over the world. Handling blackheads properly in early stages will avert the development of more severe acne. Lemon is one of the most popular natural remedies. 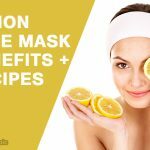 This article will give you a comprehensive guideline on how to use lemon for blackheads. Does Lemon Juice Work for Blackheads? How to Use Lemon for Blackheads? Yes, it does. Lemon is a natural remedy that will help to shrink the pores on your skin faster which in turn prevents blackheads. Lemon has some excellent properties that will resolve your blackheads problems. Firstly, lemon is a natural astringent. This means that it is rich in citric acid. Citric acid has many skin benefits that include regulating oil production, cleansing the skin pores, and tightening the skin to remove blackheads. Secondly, lemon has an antibacterial property that kills germs inside the skin pores. Its acidic nature, and natural oils contribute to gentle exfoliation and prevention of bacterial infections. Lemon penetrates deep into the human skin to get rid of dead skin cells, excess oil and dirt in the pores. By virtue of lemon containing minerals and essential vitamins, this makes it suitable for all skin types. Puberty Hormonal Changes – Androgen triggers more secretion of sebum and an increased turnover of skin cells around puberty. High androgen levels is common in both girls and boys during adolescence. Hormonal changes related to pregnancy, the use of birth control pills and menstruation cause blackheads in women. Irritation of hair follicles when your dead skin cells do not shed regularly. Utilizing steroid-based drugs like lithium and corticosteroids. Cosmetics and heavy clothing that block or cover skin pores. Overproduction of skin cells by the human body. Using medication that causes rapid skin cells turnover. Health conditions like premenstrual syndrome (PMS), stress and polycystic ovarian syndrome (PCOS). Heavy sweating or producing too much body oil. High humidity and grease in the environment you spend most your time. You do not have to visit a dermatologist unless you have severe acne. Blackheads are easy to identify and diagnose. 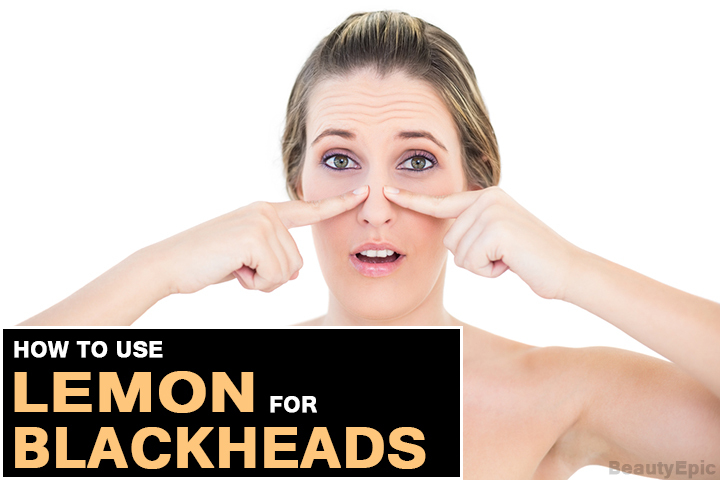 We will explain in detail how lemon will help you get rid of blackheads. Below are four easy, tested and proven ways you can use lemon to remove those frustrating blackheads on your kin. 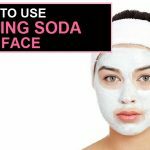 Baking soda is known to exfoliate and eliminate dead skin cells and blackheads. This leaves the skin smooth and soft. 2 tablespoons of granulated brown sugar. Mix the sugar with baking soda in a bowl. Add the fresh lemon juice and stir properly. Use your fingers to scrub and massage the affected areas for 10-15 minutes. Use the warm water to rinse. Repeat this process regularly for best results. Once a day is okay. 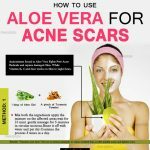 Use this method if you intend to have a smoother skin. Night time is the most recommended time for this process as it takes longer. Avoid direct sun contact while following this method. If you have to, apply sunscreen lotion. Do some skin patch to know if lemon or baking soda cause any allergic reaction or side effects. Avoid scrubbing or squeezing at blackheads as this irritates the skin and makes them worse. Avoid excessive drying of skin. Drying your skin too much results in stimulation of the glands to produce extra oil. Honey has natural anti-bacterial, anti-oxidant and antiseptic properties that are necessary for blackheads removal. Honey also tightens the skin and hydrates it, which prevents future blackheads. 1 small cup of raw honey. Warm the honey over medium heat for 3-5 minutes. Dip the lemon in the warm honey. Rinse your face with mild soap and lukewarm water to open up skin pores. Dry your face and scrub the affected areas gently for a few minutes. For best results, repeat the honey and lemon process every other day. If you want to have moisturized skin with fading blackheads, try this method. Use this procedure in the morning after waking up or right before you go to bed. 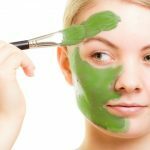 Avoid oil-based skin care products that clog the pores. Do not apply the lemon mixture on open wounds or sores as it may lead to skin irritation. Treat any underlying skin condition before you begin this process. If you are undergoing any skin treatment, consult with your doctor before starting this process. Removal strips should be used carefully to avoid irritating and ultimately damaging the skin. Salt is a good skin exfoliator. It removes germs, dead cells, oil, and dirt. Lemon-salt scrub is an effective antibacterial face scrub. It cleanses the skin and makes you feel fresh and vibrant. 1 tablespoon of pure water. teaspoon of fresh lemon juice. Combine the three ingredients in a small bowl. Use warm water to cleanse your hands and face. Dry your face with a towel and apply the scrub mix in the affected areas. Massage in a circular motion for not less than 5 minutes. Rinse your face with warm water. Close the pores by splashing cold water. Once again dry your skin with a soft towel. You need to repeat the procedure regularly to help you remove the blackheads effectively. Use this method to get rid of blackheads within a short period. Do it at night before you go to bed. Avoid skin products that contain alcohol. Skin products with alcohol tighten and dry out the skin. Steaming before treating blackheads to open up pores does not work all the time. If you have sensitive or drying skin, consider diluting the lemon juice more. Get enough rest and avoid stress as it triggers sebum production. Egg white helps to remove skin discoloration. It also has many nutrients that are good for the skin. Mix the freshly-squeezed lemon juice and egg white in a bowl. Stir vigorously and apply on your face like a mask. Pull the mask off your face. Rinse with water gently and pat dry with soft towel. Constant follow up on this process is key to giving you a smooth blackheads-free skin. Repeat this process 2-3 times weekly for best results. The best time to use this method is at night before going to bed. You can choose to apply Cetaphil lotion after the process. Do not wash off the mask. 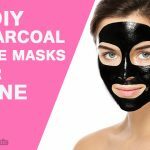 Doing this will not remove the blackheads. Use a chemical-free moisturizer after finishing the process. Now you know that lemon has other uses beyond baking and cooking. Use any of the above remedies on how to use lemon for blackheads consistently to get best results. Feel free to share your lemon experience with us. How to Remove Blackheads with Apple Cider Vinegar?